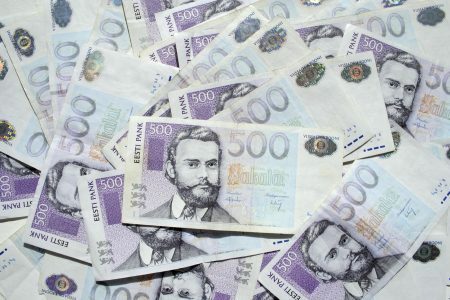 Photo: The front of the 500 Estonian kroon bill has an image of Carl Robert Jakobson, an Estonian writer, politician and teacher. The Estonia population data represent DNA samples from 150 randomly selected individuals from Estonia. Samples were provided by the database release sorted by marker and country of the ENFSI database.